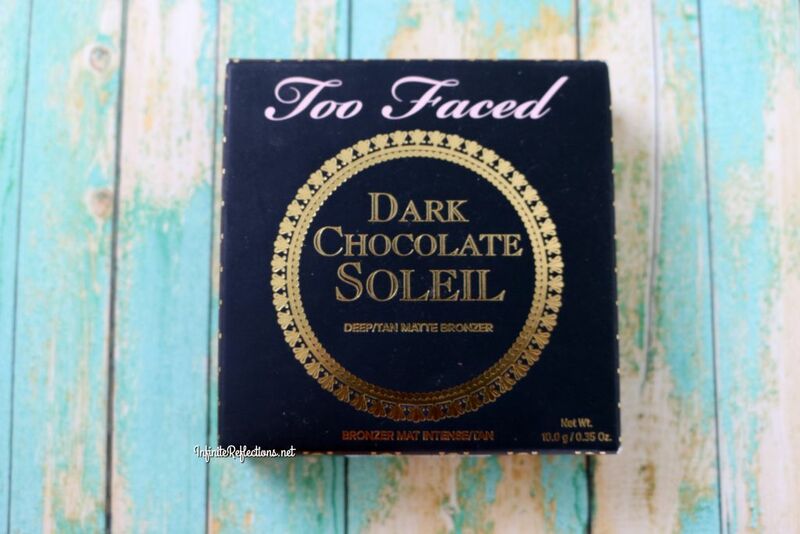 I love matte bronzers and blushes and the Too Faced Dark Chocolate Soleil Bronzer is one of my favorites in that category.I am always in hunt for the perfect bronzer for my skin tone (around Mac NC40-42), which is matte and is deep enough for my skin tone. 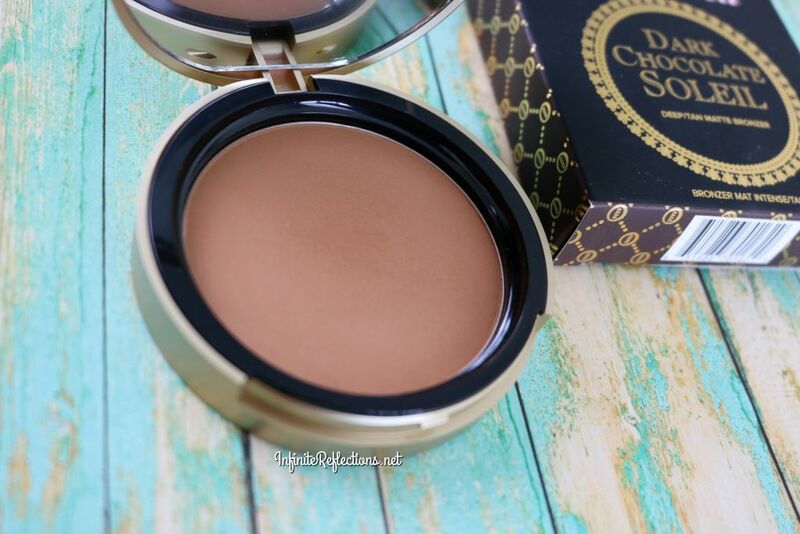 I tried quite a few but I think I have found my perfect bronzer in this one. 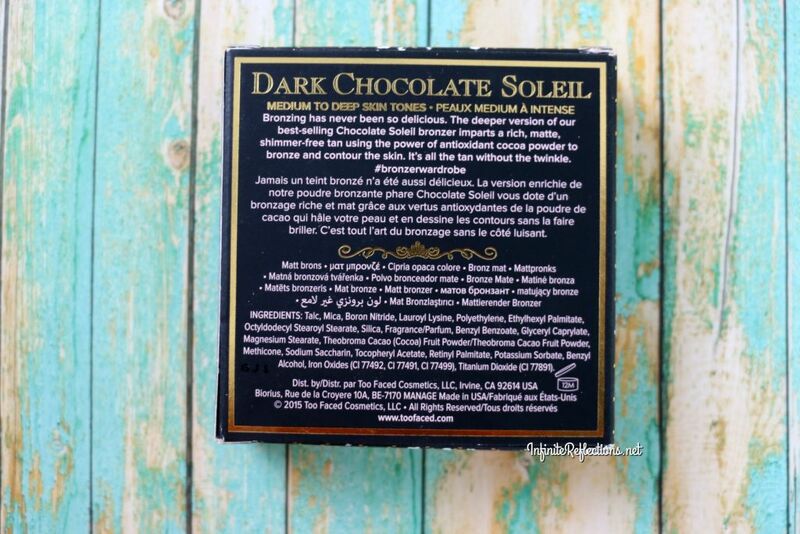 I had initially thought of getting the Milk Chocolate Soleil Bronzer but it appeared a little light or very close to my skin tone. Hence, I settled for this and I am so happy about my decision. 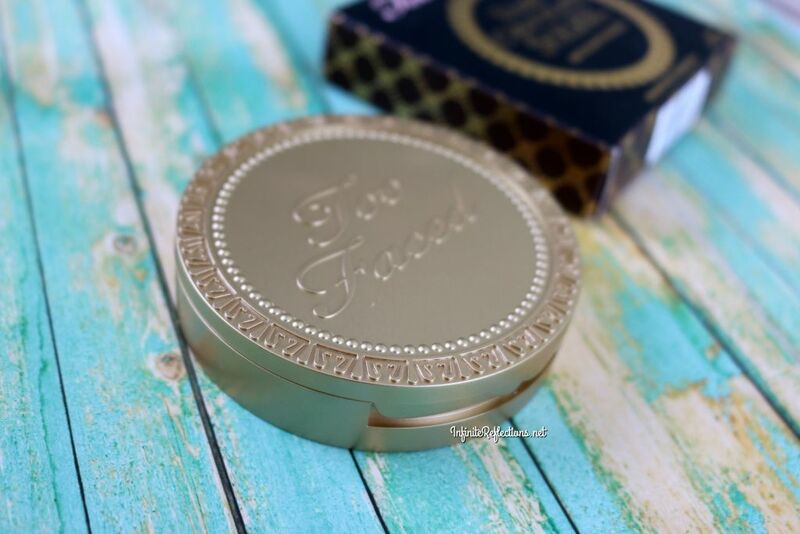 The bronzer comes in a beautiful muted gold champagne packaging with a very ornate look. I totally love this packaging. It’s a very sturdy plastic material but it looks and feels like metal. 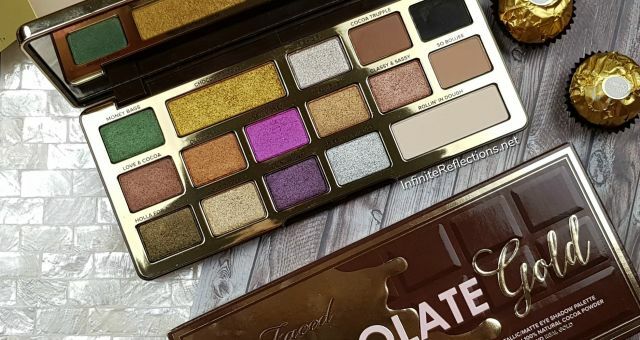 The closure in the bronzer is very secure and it comes with a good quality mirror as well. 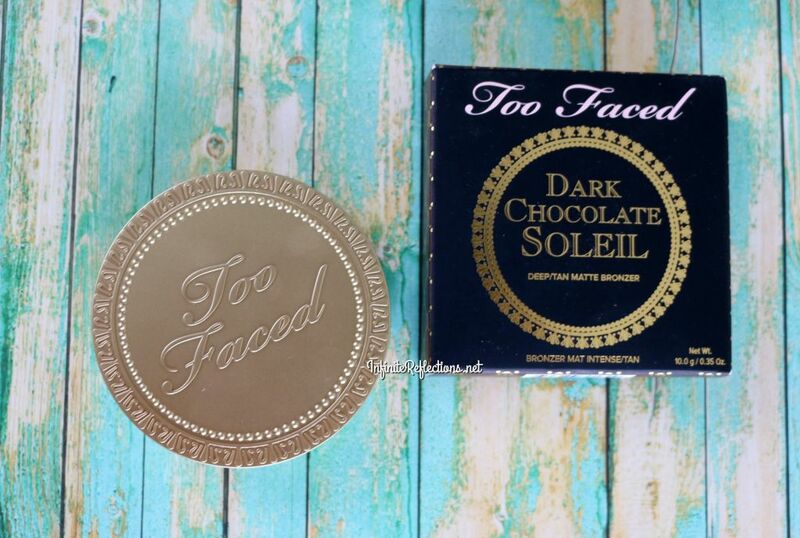 When you open the bronzer, the first thing which hits you is the scent of chocolate, which is divine. It smells really good! You get 0.35 oz / 10.0 gm of product which is quite a lot and I don’t think I will ever use this one up. In Singapore, the bronzer is priced SGD 42, which considering the quality and the amount that you get I would say it’s worth it. 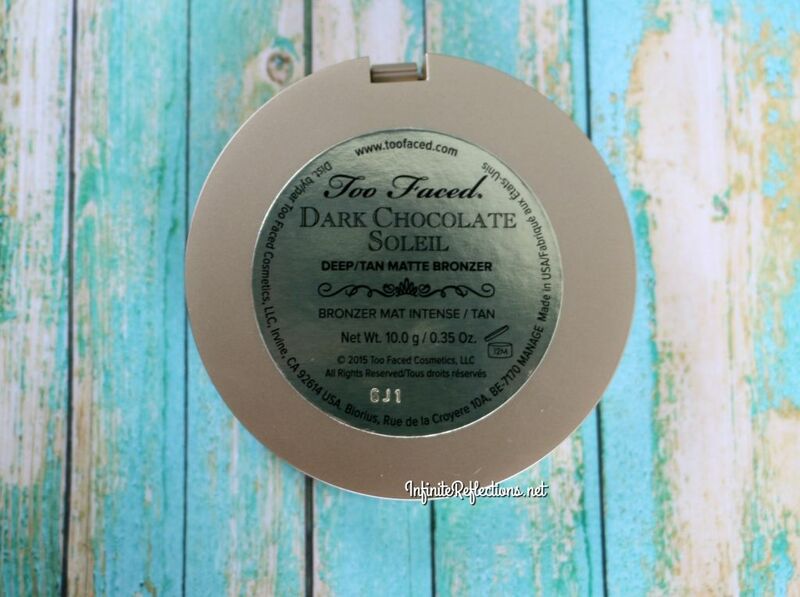 I have mentioned above that the bronzer smells delicious, smells like fresh cocoa or chocolate. 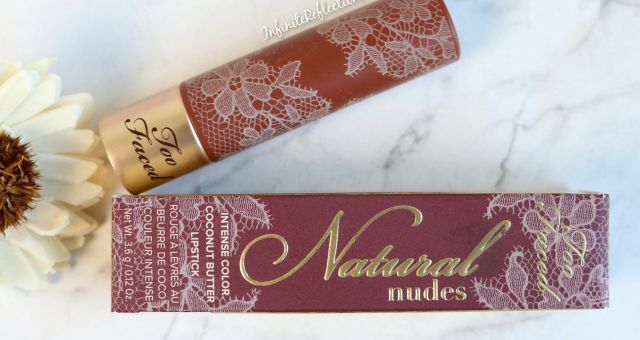 Apart from the amazing scent, I am happy to let you guys know that this is an amazing bronzer. 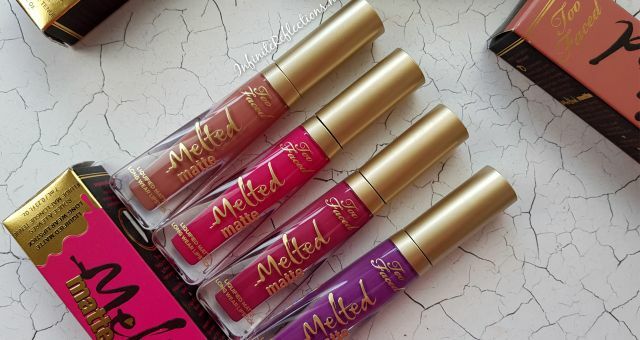 It is very soft to the touch and perfectly pigmented. Usually, I don’t have to dip my brush more than twice. 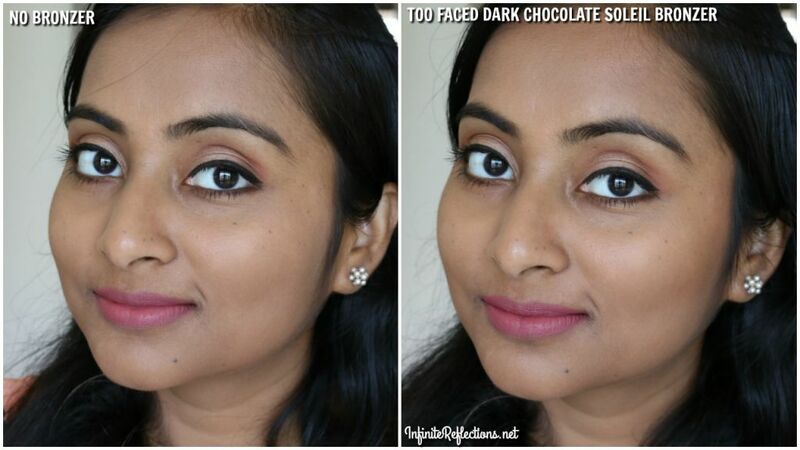 In two swipes on each side of the face, I can get a perfectly bronzed face. 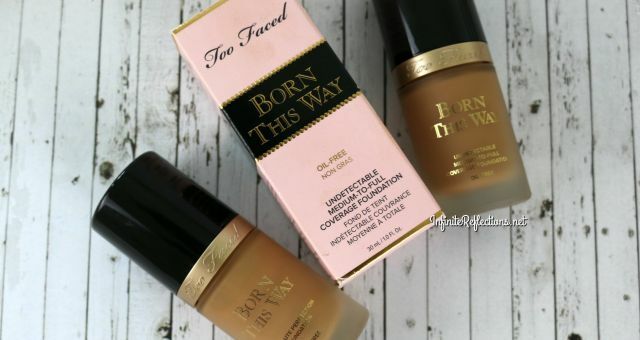 Its a perfect warm bronzer for me and I also love to do light contouring with this. It blends effortlessly and I haven’t noticed any patchiness. 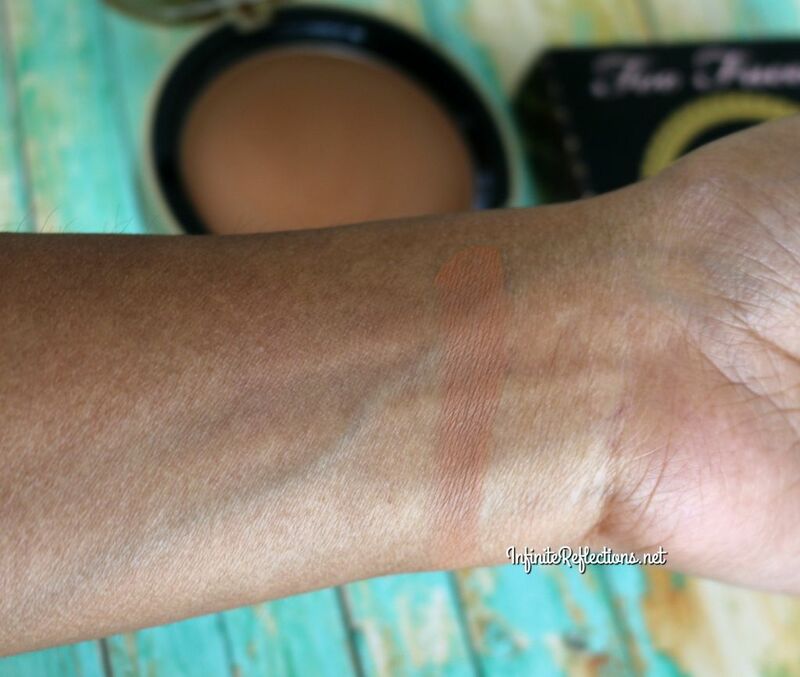 It gives a very natural bronzed look and the wear time is also very long. 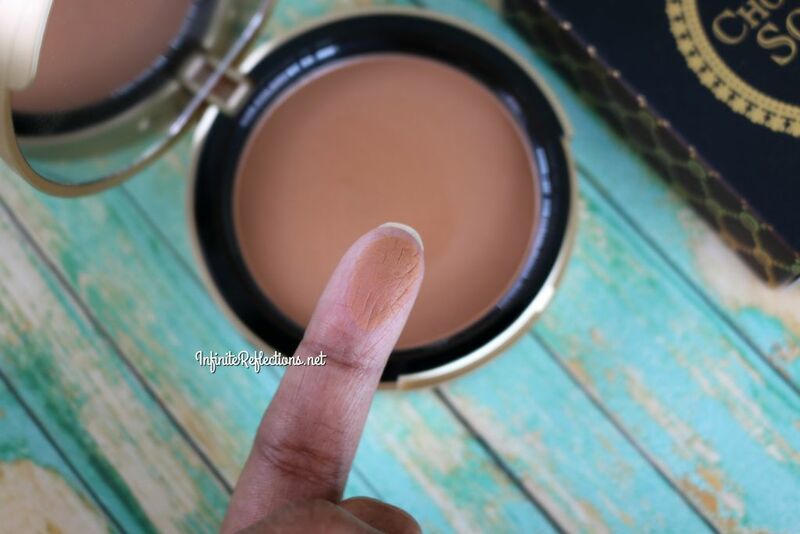 Its so difficult to find perfect bronzers for a little deeper skin tones because most bronzers are not deep enough. This one is just perfect for me! In the below pictures you can see how deep it is on my skin tone. I hope this review was helpful. Do let me know what’s your favourite matte bronzer.